If you have seen the movie Wind River then you know exactly what this article is going to be about. Native women are often the target of violence, whether the rest of the world wants to realize it or not. 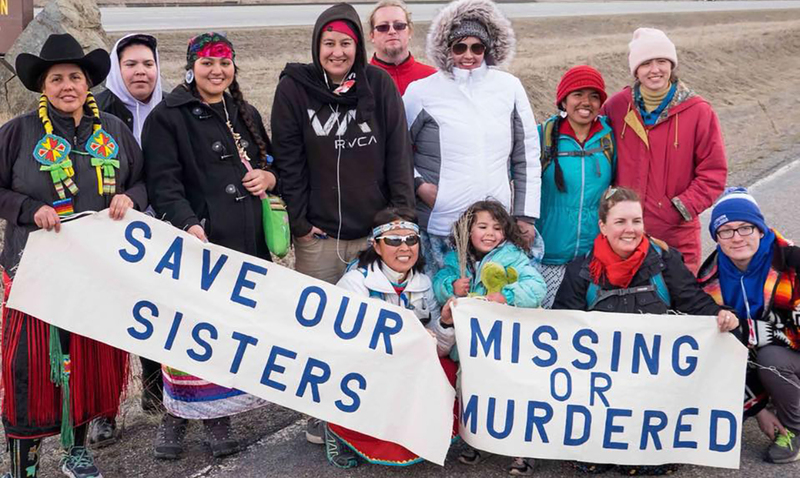 In order to raise awareness of this growing issue (violence against native women), Marita GrowingThunder Fogarty, a freshman at the University of Montana walked 20 miles per day across the Flathead Indian Reservation from March 25th to 28th. This being a part of the Missing and Murdered Indigenous Women Movement. For those who do not know, the CDC lists indigenous women and black women as those with the highest murder rates. Homicide, unfortunately, is the third leading cause of death for natives from the ages of ten to twenty-four. GrowingThunder told Montana Public Radio that she is a member of the Fort Peck Assiniboine Sioux Tribe and that she has two aunts who were murdered. GrowingThunder told Missoulian.com that since beginning her work she has been contacted by people from across the US and Canda who have been affected by things like this. 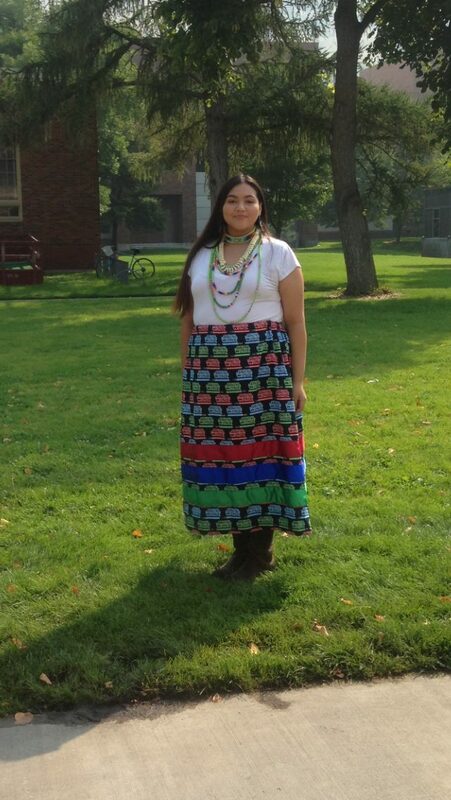 During her senior year of High School, she actually took on the task of making a dress each day to honor missing and murdered Indigenous women and girls. This project took her a whole year but she did accomplish her goal. If you look at the Facebook page ‘Save Our Sisters MMIW’ you will see some of these dresses and how dedicated she truly is to this cause. The walk she and some of her friends carried out as mentioned above is one she has made before and will make many times over. Some locals embrace this and offer kind words as they pass but others yell rude remarks and spit on GrowingThunder. Regardless, she stays true to who she is and her cause. This walk is to honor and remember those women affected by this violence and to draw attention to the issue at hand. Another very serious thing she is passionate about is that there is currently no database to track how many indigenous women are missing or have been killed. No one actually knows the true extent of this issue but we can assume it is far worse than statistics currently show. If you want to help please take the time to do your own research and educate others. Get to know the local tribes in your area and encourage your legislators to support Savannah’s Act. Savannah’s Act, for those who may not be aware, is a bill that will help track data of missing and murdered Native Americans. If you want to donate to MMIW click here or find out how you can donate to the cause in your area directly.